… to create a WINNING PRODUCT or SERVICE that sells, reliably and repeatedly. Your customers are saturated with messages from your competitors. The marketplace is cluttered – everyone’s competing for attention. There’s ONE thing, though, that can put you head and shoulders above the competition. Even if you aren’t an internet celebrity. And even if you really don’t care whether you ever become one. In fact, it’s the ONE thing most people are overlooking in the age of Insta-fame and Facebook bragging. And when you dial in on this “one thing,” you turn prospects into customers and customers into red-carpet ambassadors for LIFE. They will buy your offerings & beg for more, season after season. They will brag about how they “discovered” you, over Sunday brunch & mimosas. They will tweet about you, blog about you, fly halfway across the country to meet you. So what is this ONE thing, that can create a legion of luxury allies? How is it that ONE product or service can make ALL the difference in the success of your business? Even better, it’ll give you unshakable belief & trust in your work – by tracking results & raking in testimonials. The unmistakable knowledge that what you do matters and has a HUGE impact on people’s lives. And it’s as good as money in the bank. Better, actually – since Product Confidence will automatically keep giving you revenue increases month over month. And did I mention a WINNING PRODUCT OR SERVICE? I’ll give you my very best ideas. I’ll be brutally honest so you don’t put out a terrible product or service. I’ll help you build your sparkly personality into your product or service so that selling & marketing is a fun adventure. Together, we’ll create a winning product or service that sells, reliably and repeatedly. And transforms your customers’ lives, too. What makes ME a TripleXpert? Well, first of all, I literally eat, sleep, and breathe business ideas. Everywhere I go, I see endless opportunities for people to create winning products and services, or improve on their existing ones. And over the past 7 years, I’ve created a wildly successful coaching consultancy by learning how to design, market, sell, and deliver life-changing, buzz-worthy products and services of my own. More importantly, though, I’ve honed the process into a simple formula that’s so effective that ANY fancy lady can duplicate it. And you’ll walk out of TripleXpert with a product or service that will change everything in your business. Bottom line: I’ve helped over 1200 women move their businesses forward. I also know that having rock-solid product confidence is THE key to business success. So let’s get you sharing YOUR magic with your very own corner of the universe through your winning product or service, baby! You want to rise above the noise. And you want customers to roll out virtual sleeping bags on the sidewalk outside the “doors” of your store to buy your product. These kinds of raving fans are created because they want what only YOU can provide. So what makes your product or service unique? Indelible? Noteworthy? That’s precisely what you’ll discover and define in this first lesson. You’ve heard it said – if you don’t solve a problem, you don’t have a business. We go WAY beyond this in TripleXpert. The Christian Louboutin 6″ heel solves a problem, yes – but a luxury product like that goes beyond problem-solving. It helps the lucky owner feel like a superstar. And the red sole telegraphs exactly how lucky they are to all the other poor mortals clumping around in their Jimmy Choos. All on a shoe with minimum real estate. WOW! … like a red-soled pair of Louboutins? Who are your dream customers? How would you like to be perceived? We’ll figure it out – because your product or service isn’t for everyone. Repeat after me: You DO NOT have to settle for “just any” customer. You DO NOT have to desperately market to anyone and everyone. And in fact, you’ll discover that businesses that are discerning ACCELERATE! People LOVE products & services with STRONG viewpoints. And products & services with STRONG viewpoints SUCCEED. Because when a product or service has STRONG viewpoints, their customers know exactly what they’re buying. And people love spending their money on products & services they know, like & trust. When you build your viewpoints into your product or service – you turn your customers on and everyone else OFF. Is your product or service unmistakable? Like the quilting on a CHANEL handbag? Can people pick your product out of a crowd? Like spotting a Birkin in a sea of LeSportsacs? Here’s a well-kept secret about creating world-class product: Simplicity SELLS. LESS is more – unless we’re talking about confidence – in which case more is more. When you create like an artist, your ideas pour out of you – and feel glorious, true & right. But you want to make money too. LOTS OF MONEY! Unfortunately, having a cool, hip product or service isn’t enough to be successful. You have to understand why it WILL sell & why it WON’T sell. I won’t sugar coat it – I EXCEL at pricing strategies. Want my confidence to rub off on you? And onto your business? Would you like to always know what to say about your product? Make it easy to pitch magazines? Or even get recommended on Oprah’s Favorite Things? Then you need a variety of intriguing messages – ones that you can ‘wear’ again, and again, and again. Here’s the (glorious) truth about designing your perfect product or service. // When your product or service feels as unique as you are, you feel confident & clear about what you’re doing – and where you’re going. // Marketing, selling and branding your product or service will feel easy, natural and elegant. No need to check your real personality & values at the door. // You’ll have exciting messages. Ones that you can’t wait to share all over social media. // You won’t get bored or second-guess yourself. You won’t worry that you’re doing it wrong. Because your product or service is a direct expression of your genius – flowing with inspiration and originality. // Decision-making becomes easier, because you know exactly what you’re up to and where you want to go – even if it goes against what everyone else in your industry is doing. // You’ll know your worth in a way you never have before. Negotiating will become easier because you’ll naturally select opportunities based on your chosen path, rather than thinking you need to jump on everything out of fear. I’m just scratching the surface here – because in TripleXpert there’s room for organic creation, and the opportunity to tailor everything to suit your needs. So – tell me – do you think we’re a fit? This is HOW TRIPLEXPERT WORKS. Twice a week for 3 weeks, you’ll get on the line with me and 11 other smart, passionate women for Product Design Workshops to help you design an original product or service that sells, reliably & repeatedly. These workshops are in-depth & comprehensive. I stay on the line until every participant gets the help she needs to design an original product or service. : Answering your questions on the TripleXpert Lessons. : Coaching you so you design your perfect product or service. : Bringing in my 25+ years of business experience – generating millions of dollars in sales – to help you create your own perfect product. Ultra-Flattering. Competition-crushing. Packed with your personality. Women have told me these calls alone have changed their lives. “Erika has a way of cutting through all the back-chatter in your head, and pulling forth the most important gems for you to work with. She can pinpoint where you’re cheating yourself, call you on your bull, and really make you think about where you’ve been lurking in the shadows of your own business. Hold on – it gets even better. It’s important to stay on track, so you’ll connect with me via email or the Voxer app for help with designing your product or service. It’s awesome. You’ll get private “voicemail” type messages from me where I will share my thoughts on your product, give you new ideas about what to do next, and inspire you to go further than you’ve ever gone before with your product and your business. And you can leave me these same kinds of messages asking for clarification or just sharing new ideas you may have during our time together. TripleXpert is limited to 12 new women – which means you not only get tons or personalized attention from me, but you also get an exclusive network of smart, talented entrepreneurs – just like you. A group who not only GETS what you want to accomplish, but ENCOURAGES you – and cheers you on. You’ll be able to network, test your ideas, show off your new marketing ideas, and get feedback on your product or service in a fun & cozy environment. We use Facebook (a private group venue of course) as our rendezvous point. All calls are recorded (to capture our collective genius) and then emailed out that day – so if you’re unable to attend? No worries! And remember, you’re doing it YOUR way. Your values, your vision, your voice. Although I WILL hold your feet to the fire on delivering the product or service you set out to create. – Michelle Mazur, Ph.D, Speech Designer & Idea Architect. Let’s make your product or service impeccable. Results oriented – and revenue driven. designed for your perfect people. Need Help Registering? Email Me. I already have a product or service, can I still benefit? Absolutely. If you love your offering, but are struggling to sell it, sign up. We’ll uncover the shifts you need to make to turn your product or service into a WINNER that sells, reliably and repeatedly. Were you really a stripper for 9 years? Yes. And I hid it for fear it would ruin my business. But I learned to take what some would consider a liability and turned it into my greatest branding asset. I can teach you to do the same. I’ve already taken so many business programs. Why would I want to do TripleXpert? Do you have a WINNING product or service that sells, reliably and repeatedly? If you said hell yes! you shouldn’t join TripleXpert. But if you said NO to the above question, then sign-up. I’m so busy. How can I make time to do TripleXpert? If you want a winning product or service that sells, reliably and repeatedly, you’ve got to make it a priority. Anything else is an excuse. You can figure out how to make it to class (or listen to the calls later) and do your homework when you’re truly committed. If having product confidence and designing a winning product or service that sells, reliably and repeatedly isn’t worth 12 hours of your time, then clearly, being stuck is your thing. Is that okay? Well, only you know for sure. I travel a lot for work. How do I access the class? How is the course delivered? What format is it in? If you have access to a phone and a computer with Wi-Fi, you can do TripleXpert! If you miss a day, you’ll still have complete access to all the call recordings. They’ll be delivered to your inbox that day. I won’t be able to make all the group-coaching / design calls. Will it still be worth it? Are there call recordings available? Yes, but the calls are where you can get personalized attention and ask questions. If you can make some of the calls, you’ll get the full force effect of TripleXpert. All of the calls are recorded as well and emailed straight to your inbox that day. I’m not clear on the product or service I want to design. Does it make sense for me to join TripleXpert now? TripleXpert is for women who already have a product or service in mind. Or a product or service they want to make better so that it sells, reliably and repeatedly. I'm still working a full-time job. Can I still benefit from TripleXpert? Yes. Many TripleXpert ladies are still in the corporate world. They listen to the recordings and do their homework in the evenings. Is TripleXpert for service-based businesses or product-based businesses? Both. While the majority of my clients are service-based entrepreneurs, everything I teach is 100% applicable to a product-based business. 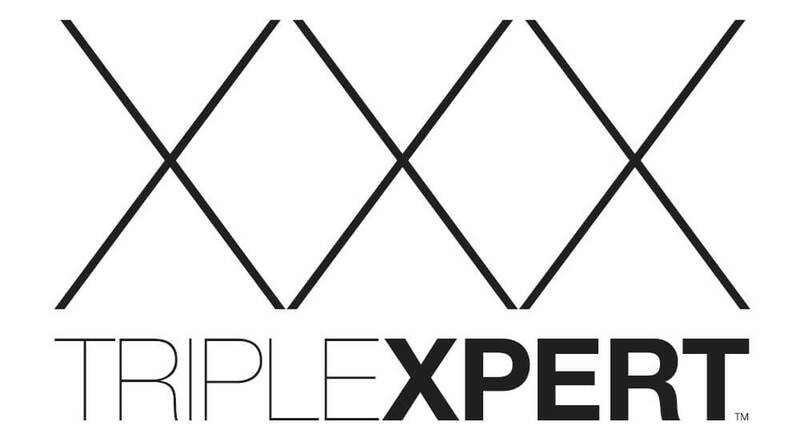 What kinds of women sign-up for TripleXpert? Everyone from established business owners, product-based entrepreneurs, coaches, healers, designers, copywriters, CPAs, lawyers, nutritionists, real estate professionals, etc. I am not on Facebook. Can I still take TripleXpert? Can I share the class materials with my team or a friend? No. All course materials are for your use only. The Facebook group is confidential and sacred—absolutely no showing or telling. What happens in TripleXpert stays in TripleXpert. I’m not comfortable posting my homework in a private Facebook group. : When you post, you push your business into action. You cannot think your way to success. You must take action. : TripleXpert ladies find it liberating to put it all out in the open. Nothing to hide, nothing to fear. When you start being honest about what you want and where you’re stuck, others will step up to help you. 95% when you establish a specific accountability appointment. …which is just one reason why TripleXpert produces results! Are there call recordings available? YES! They are emailed out the same day. I've never used the VOXER app. Do you offer trainings on it? YES! There’s a complete video library on how to use it. My business is new. Can I still join? YES! As long as you know what product or service you want to design. Can I work on more than one product in TripleXpert? No. Because of the high-levels of attention & details I provide in TripleXpert – you are only permitted to work on one product or service. Women who try to work on multiple projects at the same time do not succeed in the program. You must commit to being laser-focused so you can design & develop a WINNING product or service that sells, reliably and repeatedly. TripleXpert is not an info-based program but a personalized experience where you have access to my brain, heart, time, and energy. I create customized solutions for you based on my 25+ years experience at building successful businesses. I also tailor my ideas to your unique needs and circumstances, but only YOU can implement those ideas. I can’t offer you an “escape hatch” and expect you to show up fully. And I’m 100% confident that you will receive amazing results from TripleXpert IF you are willing to put in the commitment required to succeed. If you ask questions on all 6 of the LIVE product design workshops and turn in a completed Design Brief on or before May 10, 2019, and are not satisfied with your results, Lyremark, Inc. will refund 100% of your investment within 5 business days. Your refund request must be emailed to hello@dailywhip.com by May 10, 2019. Here’s the fine print: Refunds will not be issued for changing your mind. I don’t accept excuses or want excuse makers in TripleXpert. If you struggle with commitment, don’t sign up. TripleXpert is for serious entrepreneurs. ‘TripleXpert is created in such a way where everything starts falling into place. I feel so confident in my product that it’s hard to explain. I’ve never felt this way about any of my services in all the years I’ve been in business. I now understand what she means about people not having sales problem…when you know your product to the core selling it becomes not only easy but super natural. I hadn’t even finished polishing my sales page and I sold 3 spots for my Instagram Obsession program. ‘Before TripleXpert, I was just posting + praying. – Adeline Arjad Cook, CEO, I LOVE MY DOUBLES PARTNER!!! ‘If you are ready to work on creating a product or growing your service-based business to the next level, you need more than luck. ‘Because of TripleXpert, I developed the 3 Word Rebellion Messaging Intensive into a simple product that delivered clear results to my clients. Now when I’m on sales calls people immediately get why they need the 3 Word Rebellion Messaging Intensive. What’s really amazing is they start selling themselves on it during the call. Sales are *finally* easy, quick, and fun. I have a product that I am freakishly excited about. I feel invigorated in my business. Most importantly, I’m making the difference I want to make in the world. ‘Even though I’m a seasoned instructor with decades of experience, I was confused, unclear, and lacked confidence in my new program, SexyAF 21: A Clean Eating Program for Women “After 40”. ‘I was stuck with messaging, communicating value, and figuring out a sustainable business model that also fits my style. Erika gave me back my confidence–and my wings. She saw my powers and the potential of my offering, immediately: How needed it is, whom it will serve best, how to make it work. ‘TripleXpert is an experience as fun and high fashion as Erika’s Instagram exemplifies. Her superpower is business tailoring: she spots your unique strengths, and shows you how to make them shine in your business offerings. TripleXpert’s strength is that it is utterly individual, with eyes on you and your business. ‘Before TripleXpert, I was frustrated and ready to “break up” with my business. But then … I did TripleXpert. Erika asked me exactly the right questions so I could look at my offerings with a fresh perspective. And then she helped me design my new program, You Are A Babe: A Monthly Membership to Lose Weight, Feel Good About Yourself, + Look Great In Photos. ‘Erika teaches product confidence as the core element that boosts sales. Her motto is: You don’t have a sales problem you have a product confidence problem. The day after my cycle of TripleXpert came to an end, I booked a new long term private client who is a delight to work with. And 11 days later another private client who is a pleasure to coach. (And my sales page wasn’t even up!). ‘Never before have I been SO excited about offering a program and seeing deeply why this is needed, and how this program allows me to support and serve those who need my services. I kinda fell in love with my own sales page—as crazy as that may sound. But it feels so very aligned and all ME. ‘Erika knows how to reel you in and focus exclusively on the present. And how your product is going to be successful moving forward. – Kendra Lambert, CEO, Kendra, INC.
‘Before TripleXpert, I had a million ideas for how I wanted to coach women to expand their influence and authority. A million ideas and one huge problem: I couldn’t get all my brilliant brain-children to play together. ‘Because of Erika and TripleXpert, I uncovered what’s really holding me back—product confidence. I knew her program addressed this problem, but I didn’t actually think I’d work through it in such a short amount of time. Erika taught me to embrace something I already knew…not all copy editors are created equal. I’m the right choice because I make editing copy effortless. ‘I tried MULTIPLE programs and coaches in the past and was always struggling to get myself grounded and concise enough to actually make an impact … AND A SALE. It wasn’t until I did TripleXpert that I was able to focus in and make that happen. Erika’s system is so clear and concise, that as long as you show up and you do the work, it’s impossible to not create an incredible outcome from working with her. Thanks to TripleXpert and Erika’s guidance, coaching and wisdom I have created the platform of my dreams and I’m so excited that I love working on my business every day.